I wanted to start off the first of MANY vacation posts by talking about my MOST favorite thing from the trip and that was the Zero George. Zero George was where we stayed in Charleston and it literally took my breath away. 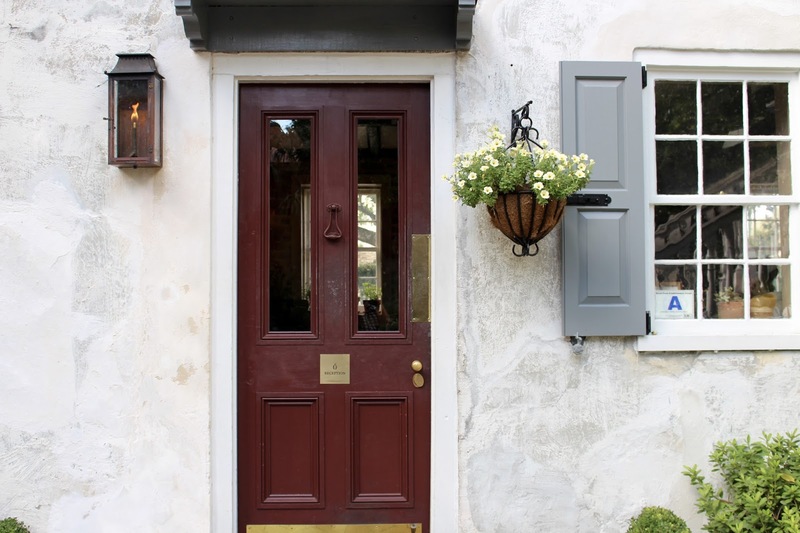 The Zero George is located in a series of buildings including an old carriage house that dates back to 1803! And now in 2016 is the must luxurious place Matt and I have stayed to date! I have to jump ahead to one of my favorite features….. The in house Chef Vinson Petrillo from Top Chef Masters! I mean, I die! Literally the building you check into houses the kitchen so I just watched mouth agape as such a culinary master was working dinner service! My second favorite features….. uh how about the fact that every afternoon at 5pm you get complimentary wine and cheese boards??!!! I wish someone would bring me that everyday at 5pm FROM the kitchen of a TOP CHEF MASTER! Are you seeing why this place was my heaven on earth??? Oh ya, when we arrived we were greeted by a bottle of Champagne JUST because, just because the Zero George lets no detail go to waste! This is one of the outdoor private sitting areas! Another feature I loved was the European Breakfast each morning complete with our own barista! There was bagel and lox, Quiche, Fruit and they bring in each morning the FAMOUS Charleston Callie’s Hot Biscuits which were TOO die for and yes, I had 2 every morning! Matt was embarrassed about all my pictures taking but look at this place…. how could I not? 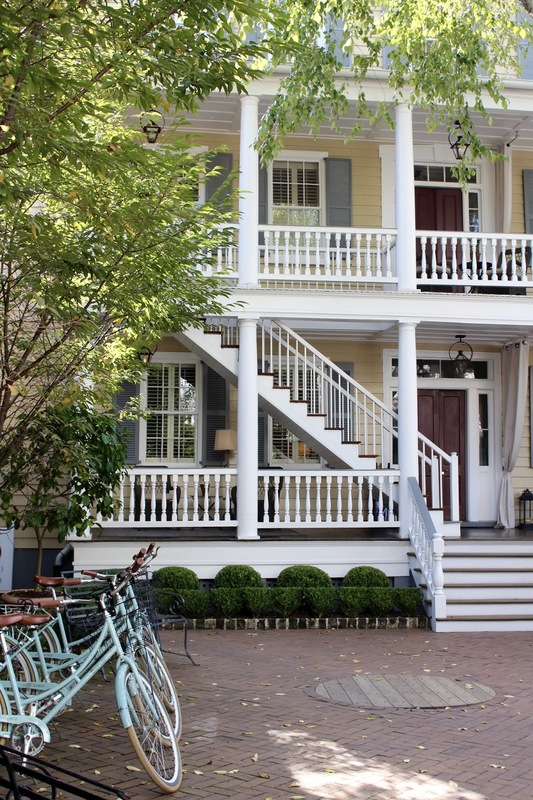 Oh ya, to compliment your stay you get to tool around Charleston in these awesome Zero George bikes! Wish I could have fit it into my suitcase to take home! Behind this door is reception, the kitchen, the bar, restaurant and common rooms….. I know, right?? For ALL the details on staying here and what they offer make sure you check out the website….. click HERE and yes, before you go having a heart attack this is a special occasion place. If ya catch my drift! This is one of the common rooms and Matt and I felt wayyyyy too “common” to sit around in here! hehe! Our room was amazing complete with our own Espresso machine and cooler drawer stocked with complimentary drinks! And the toiletries in the shower (full size might I add) were so amazing I am literally ordering some for the house! Malin + Goetz, have you heard of them?? It was hard leaving this place, I felt so special while I was there and I loved every minute and every detail! Til’ Next Time Zero George!!!!!! What an amazing and beautiful place! I love history and old places. (I hope it fairs well in the storm.